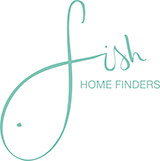 Fish Home Finders offer a range of property search services tailored to the individual needs of private and corporate clients. If you are wishing to buy or rent a property, are already living in the area or relocating from another area or country, we can help. Buying a property is a big financial as well as emotional undertaking which can be very time consuming and stressful. Extensive local knowledge and contacts ensure we’re best placed to help with your property search, enabling you to have access to the widest range of properties, including those that are not on the open market. Experienced negotiating and the ability to manage the whole buying process will mean we can help you buy your property for the best possible price with the minimum amount of hassle. The rental market is fast moving and very competitive, particularly at times when the buying market is less buoyant. Therefore, our property search services can help you respond with confidence by searching for the most suitable property on your behalf, achieving the lowest possible rental price and the best terms for your lease. Our network of contacts in the local rental market means that we are often advised about properties before details are released onto the general market. Relocating from another area or country is never easy, but Fish Home Finders are committed to making the move as smooth as possible. The single biggest reason for unsuccessful relocation is the assignees not settling into their new environment, rather than an issue with their new role within the company. We pride ourselves in our local knowledge, recognising the importance to assignees of feeling at home in their new surroundings as soon as possible. We are always on hand throughout the property search to provide friendly advice and answers to the many questions that come up along the way. In addition, we’re experienced in dealing with a range of assignees – from graduates to very senior executives with little time to spare. To find out how our property search services can help you with your relocation requirements, please contact us on 01789 491626 or complete our simple email enquiry form.